Fitch, however, warns against the associated risks of greater Mainland exposure. 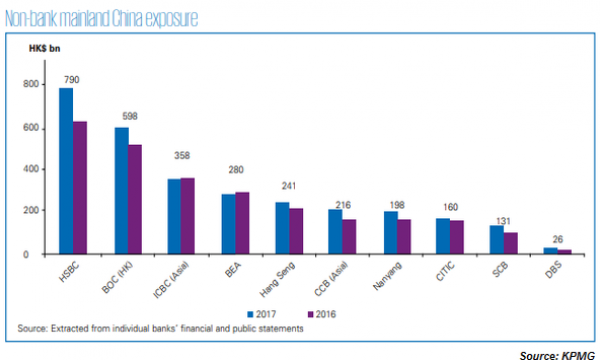 The non-bank Mainland China exposure (MCE) of Hong Kong banks doubled from 7% in 2016 to 15% as of end-2017, according to accounting firm KPMG, signifiying the ongoing expansion of companies from the Mainland into the nearby SAR but also carries with it a greater risk lenders may have to bear in the long run. In aggregate, non-bank MCE for the top ten surveyed banks grew by 13.9 % in 2017, led by double-digit growth from HSBC, BOC (HK), CCB (Asia), Nanyang, SCB, and DBS as Hong Kong continues to account for about half of global MCE. HSBC non-bank MCE surged 25% YoY to HK$790b in 2017, whilst SCB's rose 31% YoY to HK$131b over the same period. BOC (HK), CCB (Asia), Nanyang, and DBS also experienced double-digit growth to their non-bank mainland China exposure during 2017, with increases of HK$73b (or 13.8%), HK$50b (or 30%), HK$36b (or 22.3%) and HK$5b (or 21.5%), respectively. 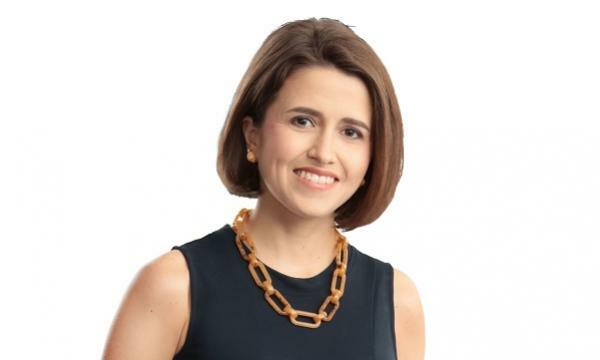 BEA and ICBC (Asia), on the other hand, reported a slight decrease of their non-bank mainland China exposure after declining 2.9% and 0.3% respectively. Credit rating agency Fitch, however, warns against heightened lending to the Mainland as this may signal a growing risk appetite banks could not afford in the long run. “We believe that Hong Kong's growing connectivity with China's economy and financial system creates risks for the robustness, effectivenessb and independence of Hong Kong's regulatory and legal frameworks,” Fitch noted in an earlier report.